Most of the steps you need to follow on the Microsoft TechNet article, to migrate the legacy public folders to Office 365, require full control on the source system. No Exchange hoster will give you the control and permissions you need to use the Microsoft Native tool, therefore using MigrationWiz will be the best option in this scenario. This means that when the source is Exchange 2013, at the moment there is no official and supported migration path to move the public folders to Office 365, as you can also read on the BitTitan’s blog article, that describes the experience of the Microsoft Exchange expert and blogger Todd Nelson. As described above, and stated by Microsoft, to run the native tool your source servers need to be patched with at least Exchange 2010 SP3 RU8 or Exchange 2007 RU15. Patching Exchange servers might require downtime, and if you´re moving to Office 365, chances are you will decommission all Exchange Servers, keeping only one for management if you are using AADSync. So why schedule a maintenance window and patch servers there are soon to be decommissioned? MigrationWiz supports major versions with no specific requirements on the service pack or update rollup. MigrationWiz adds great value, when you have large individual public folders, and/or the total amount of public folder data to be migrated is very large. Which means that they do not support the migration of public folders larger than 2GB, or at least if and when you have a problem with your migration (and believe me, chances are you will), related to folders bigger than 2GB, the Microsoft support will probably give you an answer based on the statement above. By default the Public folders on Office 365 cannot be larger than 2GB, but as you can see on the Public Folder limits Technet article, that limit can be extended up to 10GB. If you have public folders with more than 2GB (and of course less than the 10GB limit), all MigrationWiz requires is that you prepare your target environment, by following this article. As you can see on the example above, the errors on the MigrationWiz portal are very clear and detailed, which helps a lot when troubleshooting. Public Folder mailboxes in Office 365 have a limit of 50GB per mailbox, therefore, if you´re migrating more than 50GB of data you need to follow this MigrationWiz article. Although with the native tool, you can run a Get-PublicFolderMigrationRequestStatistics, with the “-includereport” option, and export it to csv, that is nothing compared to what the MigrationWiz portal provides you. 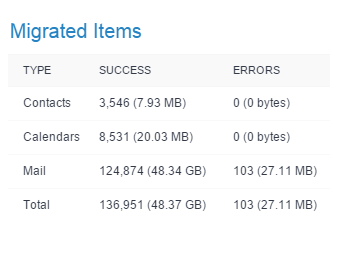 You can see both the total number and size, per item type, with errors or migrated successfully. There’s also information on the data migrated, items migrated or transfer speed, for you to have a better understanding of how things are progressing and estimate total migration times. 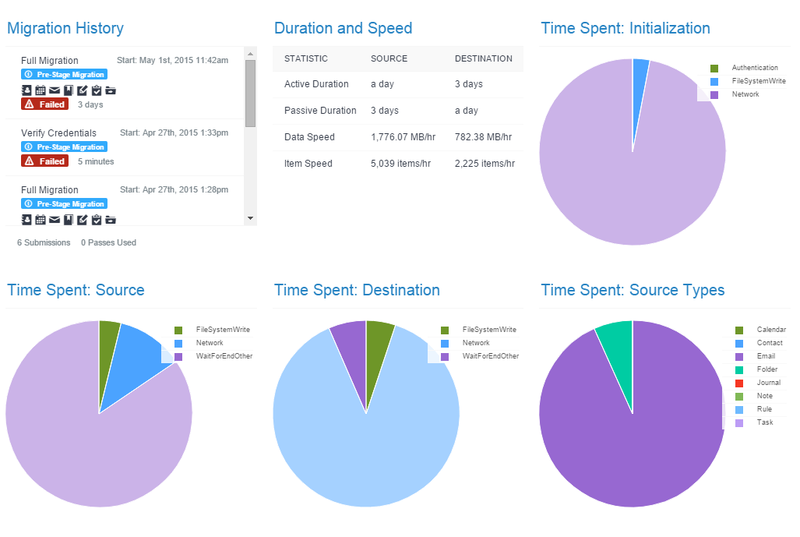 You can see the migration history, and all kinds of statistics, including a very useful data and item speed per hour statistic. All the above is, in my opinion and based on my experience, very important when you are migrating a large amount of data. The way I see it, unless you have very good technical knowledge of both Exchange online and on-premises, you should go for a tool like MigrationWiz that makes your life much easier. I’ve seen a lot of issues when using the Microsoft Native tool (and you can find some posts in my blog on how to solve them), and if you don’t have advance knowledge, and you want to use the tool, you should find someone that has that knowledge and experience, and can assist you with the migration. Is the Microsoft native tool, to migrate public folders, a good tool? Yes! Is it challenging from a technical perspective? Yes! If none of the above is relevant to you or your Organization, and you are an expert on Exchange online and on-premises, then you can use the native tool. The bottom line is that, everything I stated on this post is based on the large experience that I have with Office 365, and more specifically with migrating Public Folders to Exchange Online. I´ve helped dozens of Organizations to achieve that, and learned a lot in the process. I hope this post was helpful and as always, let me know if you have questions! Are you trying to migrate your Public Folders to Office 365 and getting the error below? Of course the first thing I recommend is obviously for you to check if you do have Public Folder mailboxes created in your Office 365 tenant. 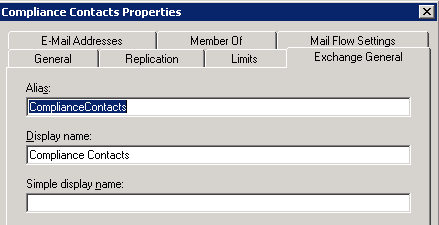 Log into the 365 portal, click to Admin Exchange, and then go to Public Folders > Public Folder Mailboxes. You might need to wait up to 5/10 minutes after you create the Public Folder mailboxes and before running the MigrationWiz Public Folder project. Also please make sure your MigrationWizAdmin user has the necessary permissions on the Public Folder structure. Read here for guidance. Now what if everything described above is configured correctly, and you still have the same “No public folder mailbox found” error? Of course all the configurations described above are mandatory, but the real reason for this post is that something else might cause this error. If all your users were moved to Office 365, and are accessing the Public Folders on premises, before you move those public folders to Office 365, I am sure you followed the Microsoft official article “Configure Legacy on-premises public folders for a Hybrid deployment“. What the above cmdlet will do is, at the organization level set the Public Folders to remote, and more importantly, by setting the “RemotePublicFolderMailboxes” parameter and the OrganizationConfig level, it will change the “DefaultPublicFolderMailbox” parameter at the mailbox level, for all user mailboxes. Above you can see that the RemotePublicFolderMailboxes is set to a mailbox called admin.vargas, and in your scenario it should be the name of an on premises mailbox, “dirsynced” to Office 365. And if you look at the DefaultPublicFolderMailbox on your users, including the MigrationWiz admin user, that value will be set for the on-premises mailbox setting to match the “RemotePublicFolderMailboxes” parameters on the Organization Config. You can see your Public Folder mailbox name, on your Office 365 Exchange Admin Centre, as shown above. The cmdlet and the output, from the Exchange Online PowerShell. Once the change is made, retry the MigrationWiz project, and job done! There are a lot of good reasons for you to be in the scenario described above – Using MigrationWiz under a hybrid scenario, to move your public folders to Office 365 – especially if you have Public Folder with more than 2GB and a total amount of Public Folder data of more than 50GB. I will soon blog about all the advantages of skipping the Microsoft native tool to migrate the public folders and using MigrationWiz. Stay tuned!